In August 2017, a weak and frail Rupa was brought into the anganwadi for a screening process for all children between the age group of 6 and 59 months. 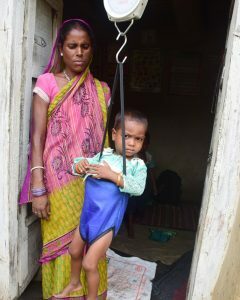 Her Mid-Upper Arm Circumference measured only 11.3 cm, indicating severe acute malnutrition. Like many families, Rupa’s mother Hemu was married at a young age and now has four children. She and her husband earn a meagre income from the agricultural or manual labour that they do. Hemu did not understand the reason behind her daughter’s weakness. 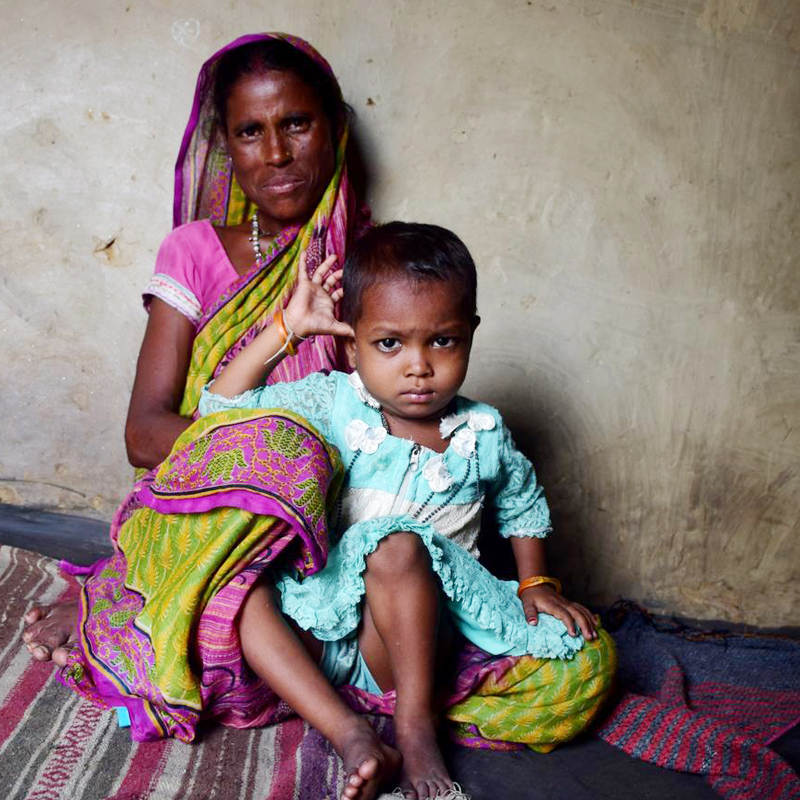 Only after she brought Rupa to the Anganwadi, she found out that her daughter had ‘kuposhan’ (malnutrition) – a word that was new to her. But soon she began to understand what was troubling her child. 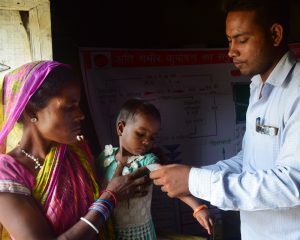 The screening process was done as part of World Vision India’s CMAM (Community-based Management of Acute Malnutrition) in the communities we serve in Bokaro, Jharkhand. 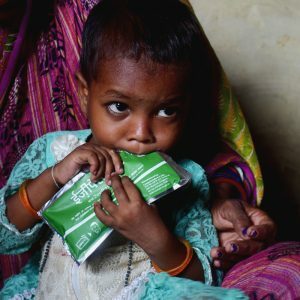 CMAM helps identify and initiate treatment for children with acute malnutrition before they become seriously ill. Caregivers provide treatment using Ready-to-Use Therapeutic Food (RUTF) and routine medical care. When necessary, severely malnourished children with medical complications are referred to inpatient facilities for more intensive treatment. After running through the exercise of checking Rupa’s weight and MUAC (Mid Upper Arm Circumference) measurement, Rupa and her mother were given a demonstration on correct hand wash techniques. Finally, Rupa was prescribed 20 packets of RUTF to be consumed over the week. When her mother opened one packet and offered it to her. Rupa ate the sweet paste from the packet, slowly and steadily. After a while, a smile spread across her face and she started playing with her brother Aakash. Soon after, Rupa was regularly brought to the Anganwadi for the RUTF packets. The CMAM programme was conducted by World Vision India in partnership with the Jharkhand State Nutrition Mission. During this programme, 20,525 children were screened for malnourishment, of them 217 children were identified with severe acute malnutrition. Out of these, 158 children were enrolled in the Out-Patient Therapeutic Programme site (OTP) established in the Anganwadi. 61% of those enrolled were cured. When Rupa’s progress was monitored again recently, she showed improvement with her Mid-Upper Arm Circumference (MUAC), moving from red to yellow on the MUAC tape, a sign of improvement. I wish to contribute for the children to end malnutrition .